Who doesn't want to live the life of luxury if they have the opportunity? 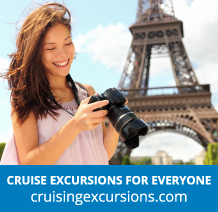 With these extravagant luxury cruises you can lay back and relax in the knowledge that everything you need will be taken care of. Take the time to unwind in sun-soaked surroundings as you enjoy a wide range of fantastic facilities and breath-taking views. And if you want to share this luxurious atmosphere with your loved ones, take a look at our family cruises today. 2 Pages. Showing items 1 to 20 of 32.